…it’s the cingulate gyrus that tells someone enduring OCD that something unpleasant will happen if obsession-generated compulsions aren’t acted upon. And the mission is simple – providing relief for intense feelings of anxiety. Yesterday we began a long overdue series on obsessive-compulsive disorder (OCD). In that article I shared a ton of information regarding what it is and what it looks like. It’s a must-read, so be sure to check it out. Major brain-anatomical players in OCD include the orbitofrontal cortex, basal ganglia, caudate nucleus, cingulate gyrus, and the thalamus. In the image to the left, the right arrow points to the orbitofrontal cortex. The left arrow handles the basal ganglia. The caudate nucleus lies within the basal ganglia and the cingulate gyrus extends above it. The thalamus lies immediately south. Here’s how it’s thought to play-out. 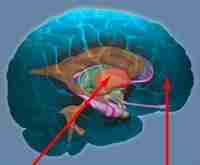 The thalamus is processing incoming sensory messages. The caudate nucleus is doing some filtering before opening the gate, which will allow messages to hit the cerebral cortex for a bit of reasoning-seasoning. But this time around there’s an air of discomfort and misunderstanding. The basal ganglia and cingulate gyrus are indicating there’s trouble on the scene, but for the cortex it’s business as usual – even though it has a hunch something’s up. At this point, the cingulate gyrus, which aids in shifting attention from one thought or behavior to another, freaks-out. As a result, it gets stuck on certain thoughts (obsessions) or behaviors (compulsions). Yes, it’s the cingulate gyrus that tells someone enduring OCD that something unpleasant will happen if obsession-generated compulsions aren’t acted upon. 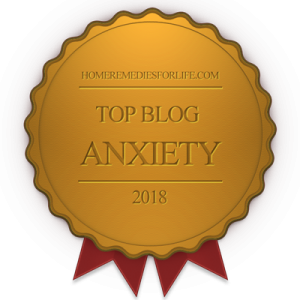 And the mission is simple – providing relief for intense feelings of anxiety. It’s been discovered that a possible genetic mutation may be a factor in OCD. The gene involved is hSERT, the serotonin transporter gene. By the way, it’s believed that decreased levels of serotonin due to under-stimulated neural serotonin receptors plays a major role in OCD. The Met158 variation of the COMT gene is also receiving research attention. 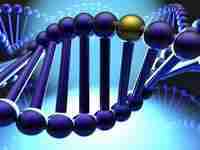 The COMT gene produces an enzyme that breaks down dopamine, weakening its signal. People with this gene can’t seem to tear themselves away from something arousing, even if it’s potentially harmful. Family members of individuals diagnosed with OCD are at greater risk for developing the disorder, as well as tic disorders, than the norm. It seems as though childhood-onset OCD runs in families more than adult-onset. It’s also more likely to be associated with tic disorders. Curiously, it isn’t a cinch that identical twins will share OCD. So that means environmental factors play a role. Finally, it’s the disorder that runs in families, not specific obsessions and compulsions. For example, one family member may be a washer/cleaner, the other a counter. Bottom line: Genetic factors account for 45-65% of OCD symptoms in children diagnosed with the disorder. 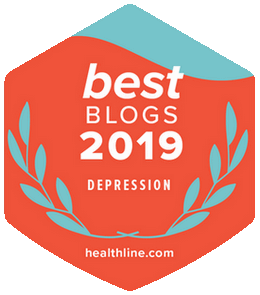 I want to briefly mention something known as Pediatric Autoimmune Neuropsychiatric Disorders Associated with Streptococcal Infections (PANDAS). Let’s say a child has been diagnosed with OCD or a tic disorder. His/her symptoms suddenly ramp-up after a bout with strep throat. Also presenting may be moodiness, irritability, disturbed sleep, hyperactivity, inattention, and joint-pain. The child’s situation would be placed within the PANDAS spectrum. Scientists don’t fully understand the phenomenon, but it may have something to do with the dynamics of an autoimmune disorder. And this appears to be a logical place to start because the onset of the autoimmune disorder rheumatic fever follows an episode of strep throat. It’s thought to go like this. Instead of attacking strep bacteria, antibodies go after the heart valves, joints, and specific regions of the brain. This occurs because the proteins of the strep bacteria’s cell wall are similar to the proteins of the anatomy just mentioned. The dynamic is known as molecular mimicry. So how does this errant attack business bring on OCD and/or tics? Well, it seems the basal ganglia are victimized by PANDAS. 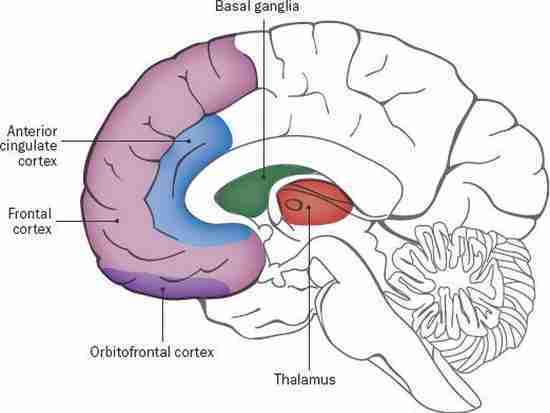 And, as we’ve learned, the basal ganglia are deeply involved in the presentation of OCD. Phew! Well, that’s going to do it for our biological chat. I don’t know about you, but I find information like this riveting. And I say it time and again, I just don’t see how someone can effectively manage a disorder if they know nothing about its cause. I’ll be wrapping-up the series on Thursday with a discussion of OCD treatment. You won’t want to miss it, so be sure to come back. Plenty more where this baby came from. Check-out the Chipur titles. Next Post: Obsessive-Compulsive Disorder: What Works? !